Film & Stage Crew Jobs>Runners & Assistants>Assistants and runners of the world! Writers Required for New Stage Production "Behind the Scenes"
Assistants and runners of the world! Who is a runner or assistant! looking for experience and a opportunity to be invovled on our latest music video, With and a chance to work with us in the future on more content, music videos and ads. If you are keen driven and looking to learn with the opportunity to climb in a production company then apply. But please only apply if your serious. 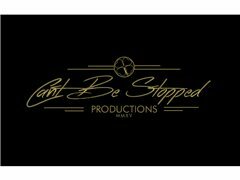 Assistant, runner position on a music video.